If you read my blog, ‘Giving Yourself Permission To Be a Writer’, you will know how I feel about the sometimes difficult process of building your confidence – to accept yourself as a writer and to commit to the process whole-heartedly. So now, I’d like to write a little about dealing with the challenges once the work is done and you begin the process of ‘putting it out there’! 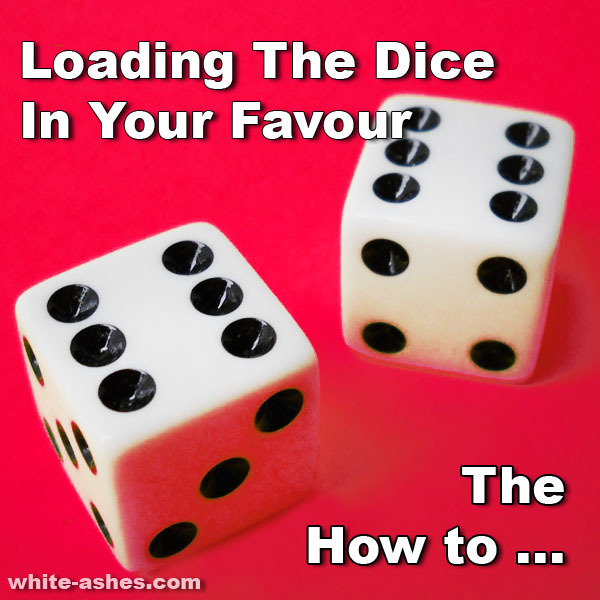 RULE NUMBER ONE – BE SELECTIVE! In marketing circles, the machine behind the junk mail you receive everyday is called ‘Direct Marketing’. These folks are experts at what to put on a single piece of paper to attract your attention and entice you to buy. Most often these flyers are full colour and ZAP-POW-WEE!! And, believe it or not, most are heavily targeted. Despite this, it is a fact that a response rate of 2% is virtually unheard of, and 1% is considered a huge success—in fact, it’s an industry goal. To recap: These ‘marketeers’ are experts and expect 99 out of every 100 of their highly-crafted mailings to go straight in the trash – and to them, 100,000 mailings is a ‘test’! Get the message? You don’t have the time or resources to scatter your manuscript to the four winds and hope for the best. It must be carefully crafted and heavily targeted. Without that, it’s 100% money down the drain, and major disappointment is the only likely outcome. This is critical because that’s as far as any agent or publisher will ever get before making a decision. I learned from one person that she didn’t like one of the characters much and from another that some things that this same character had said, just didn’t ‘feel’ like her voice – too mature – to well-thought-through. The problem here, I think, is that as the ‘creator’, I knew this character well, but had failed to convey that person’s inner depth or growth, so was then able to set about smoothing those things out. It’s also important to ask early readers to mark any typos or spelling mistakes they spot along the way. I’d ask them to highlight the error and put a little cross in the margin by that line, then dog-ear that page, to help me find and correct problems easily before a page reprint. Along the way, another reader stated that they didn’t understand why a particular character’s back-story had been included at all and that I should consider taking it out. I didn’t agree and left it in. It’s said that when a reader tells you something doesn’t work for them, they are usually right, but if they try to tell you how to fix it, they’re usually wrong! You have to do the work. Beyond this, it’s important to self-edit the work, even if you intend to have it edited professionally. Try to take out anything that doesn’t move the story forward. Read slowly – preferably out load, even if only as a whisper – it’s surprising what you’ll catch that way. 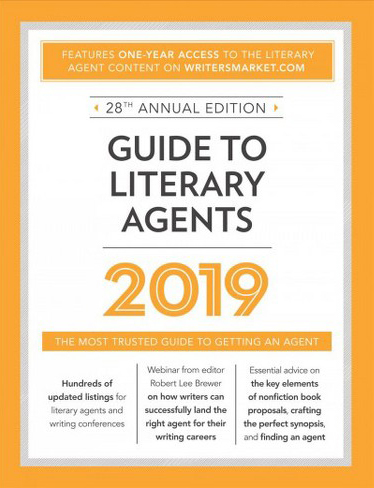 I can’t express strongly enough the value of acquiring the latest edition of The Guide To Literary Agents. Recommended by no less that Stephen King some twenty years ago in his ‘On Writing’ self-help book. I’ve seen other volumes many times over the years and sifting through them is no fun at all. I assure you – the Guide To Literary Agents is different! This is no run-of-the-mill index of agents, this volume is highly focused on helping debut authors be knowledgeable and do it right! First up: Pages dedicated to: What an agent does and doesn’t do; crafting a query letter; what an agent is looking for; crafting the perfect synopsis; working with a publicist, a series of debut author’s ‘tell all’s’ relating to what they did right; what they would do differently; the promotional platforms they use; their advice to other debut authors and more. Then: that critical list of agents: Both indexed and then listed with such detail as: Contact Name, full postal address, telephone number, email address etc. But wait … Also, such critical detail as the genres they represent, how to make contact – what they expect and how they expect it. Many also offer who they represent and details of recent sales! Honestly – what could be better? OK, you’ve found the contact details of an agent you think is right for you – that’s not enough! Once that’s done, go deeper again. My gut tells me there is still value in making a call. Making that call! For me, it’s another critical element of your market research. You’ll either confirm the instructions you have are correct or perhaps be told, ‘We’re not accepting unsolicited manuscripts at this time.’ Either way, you’ll know. That’s time and money saved and you won’t be sat waiting for a reply that may never come, or is not the answer you what you wanted when it does. Also, it helps you stand out as an author that walked the extra mile – and you can mention your call in your query letter too. 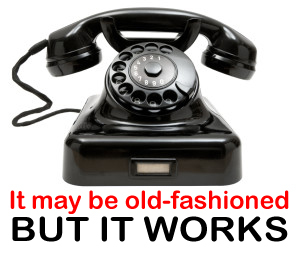 The telephone: It may be old-fashioned, but it works! YOUR NOTES: Have a few notes in front of you – this is a sales call and the notes are your script. NOTE: I say ‘in case they ask’ because ‘over-sell’ is a major danger. Any professional seller worth their salt will tell you that once you have a deal … a ‘Yes, please sent it …’ then ‘SHUT UP! If they’ve told you what you need to know outright, don’t trouble telling them your life story (or your book story!) Doing so after a ‘yes’ presents opportunities for a change of heart by the ‘buyer’. Who to sent everything to? What to send: (Beyond your Query Letter) Full or part manuscript? / Reviews? / Etc. These days, you’re going to find an awful lot of agents accepting query letters and submissions by email. That’s great, but for me, there’s still value in that piece of paper sat on the desk. Beyond the manuscript, you need to know what else to send. This may include professional, unpaid reviews, testimonials, details the like of successful short story submissions to newspapers, magazines and the like and anything else that supports your credentials as a writer – If you don’t have any such support, don’t let that deter you. Your Letter Head: Yes, create a professional-looking letterhead. You don’t need to have them printed professionally, you can create one in your word-processing programme. I include a colour banner, but something as simple as your name, entered in big, bold text with your contact detail in strings of text below will suffice. In my own case the banner is followed by Name and Status (Line One) : Full Address (Line Two) : Internet Contact Details and phone number (Line Three) – Don’t forget to add your country code, in brackets, to the beginning of your telephone number. After all, you’re ‘international’ now and that tiny addition adds an extra dimension to the viewers perception. Paper. Don’t use standard photocopy paper – invest in something that ‘feels’ nice! Write in plain English. Avoid jargonese, starchiness and literary pomposity – be professional, coureous and most important, be yourself. Know who you are writing to: Even though you may have gained all the information you need from an agency list – call – folks leave, so make absolutely sure you are sending your letter to the right person and by way of a great conversation starter, make sure that person’s name is spelled correctly! Draw the reader in immediately! : Yes, just as you did with your book, start punchy. Consider this: After ‘Dear Person’s Name’, start the first paragraph with a condensed version of the text you’d like to see on the front inner flap of your published book. Get straight into it there and then – Not even an ‘In my novel …’ or ‘The Book of Love begins when …’ etc. Just – straight in! Then, once you’ve captured their interest in what this query letter is really all about, you can settle in to the more mundane – but start with that or the reader may never get to the good stuff. If your first paragraph sounds like standard form, ‘blah-blah-blah’ to you, it’s toast and so are your chances! The Personal Touch. There has to be a reason you chose this person. If not, you have no right approaching them. Your research will offer you sources, a phone call will reaffirm that the information you have is correct. OK, your reasons for this approach are sound, don’t be shy about it, tell them why you chose them to consider your work. Is there a title/author they represent that offers similar work to your own, if so mention it. Offer thoughts on your life as a writer. But don’t make this your life story! Why you are compelled to write. How your dogged determination to write propels you – it’s a passion – if not an obsession. They want to know that it’s not just this story that has (commercial) legs, that you do too. You have to understand that though you consider your writing a precious art form (and you should!) they are looking for commerciality for their agency and their clientele. Publishing is a business after all, and these days, so are the platforms of many Internet reviewers who, when successful, gain an income from advertisers on their blogs! “I thank you for your time and would be grateful for an acknowledgement of this submission. A pre-paid, self-addressed envelope is enclosed to assist, the manuscript [if enclosed] is yours to keep. Again, one final plug for The Guide To Literary Agents – It’s worth its weight in gold! Make your packaging stand out! You have to be aware that the day your manuscript arrives on the desk of your targeted agent / publisher / reviewer /etc., the chances are it’s near the bottom of a whole stack that arrived with it. Imagine that! … Now imagine that again! How are you going to make your package stand out right from the start? By being as sure as you can be that it arrives crisp, clean and well packaged. FULL DISCLOSURE: I’m still seeking an agent/publisher too! That may surprise you having read all the wonderful advice above, but in the end it all goes to the fact that knowing ‘how’ is one thing, doing it, over and over until you succeed, without allowing the process to wear you down, is quite another. Wishing you every success in your search. SEE ALSO: Dealing With Rejection: Knowing why it happens and helping reduce the pain. This entry was posted in Presenting Your Work To The World and tagged agents, being selective, seeking an agent, presenting your work, query letter on 2019-03-21 by JohnDMoulton.